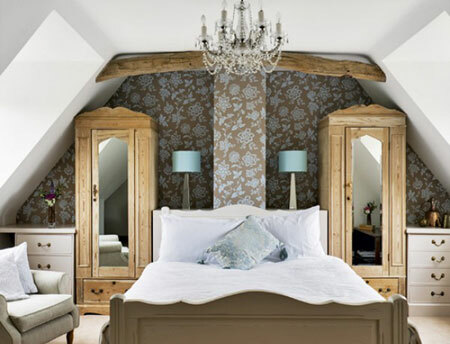 This bedroom attic design makes excellent use of a small and previously unsightly back wall. Without a window, the designer turns it into an accent wall by covering it with an elegant brown and blue wallpaper. Two lamps are cleverly worked into the design sitting on either side of the chimney.